G. Loomis Pro Blue Rods will make any day on the water a lot more enjoyable. Often rods such as this are referred to as “stand-up” rods, but these are very different than what you have seen or used before. G. Loomis hybrid blanks designed with dynamic, fast-actions that allow you to wrestle big fish without distractions or malfunctions. G. Loomis Pro Blue Series Rods are designed where you can feel the difference immediately. They are very light, yet strong and powerful. Made in the USA. Limited Lifetime Warranty. G. Loomis Pro Blue Series Saltwater Casting Rods will make any day on the water a lot more enjoyable. Often rods such as this are referred to as "stand-up" rods, but these are very different than what you have seen or used before. 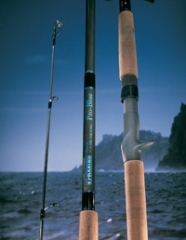 They're a blend of traditional flats rods and bay rods with cork handles, heavy-duty Fuji reel seats, Fuji "large I.D." guides, and G. Loomis hybrid blanks designed with dynamic, fast-actions that allow you to wrestle big fish without distractions or malfunctions. G. Loomis Pro Blue Series Saltwater Casting Rods are designed where you can feel the difference immediately. They are very light, yet strong and powerful. Made in the USA. Limited Lifetime Warranty. G. Loomis Pro Blue Series Saltwater Spinning Rods will make any day on the water a lot more enjoyable. Often rods such as this are referred to as "stand-up" rods, but these are very different than what you have seen or used before. 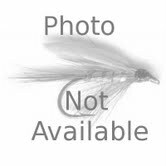 They're a blend of traditional flats rods and bay rods with cork handles, heavy-duty Fuji reel seats, Fuji "large I.D." guides, and G. Loomis hybrid blanks designed with dynamic, fast-actions that allow you to wrestle big fish without distractions or malfunctions. G. Loomis Pro Blue Series Saltwater Spinning Rods are designed where you can feel the difference immediately. They are very light, yet strong and powerful. Made in the USA. Limited Lifetime Warranty.